The number of women-owned business has exploded over the past decade. Yet women entrepreneurs are less likely to get venture funding and are paying more for debt financing. In 2016, American Express found that the number of women-owned businesses increased by more than 40% since the 2007-2009 recession and that businesses owned by women of color exploded by more than 120%. Those numbers could be even higher if women entrepreneurs were able to get small-business funding more easily. Small business owners most often consider loans when they need working capital to start or expand their companies. The loans can help fund things like new equipment, additional locations, or more talent. In other instances, the small business loan may provide cash flow during a difficult financial period for a company. Or, that funding can help keep the doors open after an unexpected event like a natural disaster. Even with a great business plan, one of the main obstacles might be that it’s too difficult or expensive to get small-business loans with less-than-perfect credit. Many people don’t realize - especially when starting out - that until you have business credit, your personal credit score is going to be an important factor for getting financing. According to Credit Sesame’s research, women average a credit score of 621 versus men, who have an average of 630. While men carry more credit card debt, women have a higher debt-to-income ratio and more collection accounts adversely impacting their credit history. This may make a lender less likely to offer long-term financing to women. However, even women business owners with bad credit still have a variety of financing opportunities from both for-profit and nonprofit organizations. It helps to know these business development grant options exist and how to position yourself as the best choice for that funding. Here are seven options to consider. Grants.gov is a government portal that provides a wealth of information on where to find grants, what they’re for and how to successfully apply for them. The site lists over 250 grant options for women entrepreneurs in its directory. To narrow the grant options in searching the database, apply filters such as eligibility, category or industry, and government agency offering the grant. This more detailed search process provides a way to identify a grant opportunity that aligns with your business plan, experience and skill set. Although it’s open to male and female entrepreneurs, the FedEx Small Business Grant focuses more on the underlying idea and innovation than on the applicant’s personal credit score. Each year, the company gives out 10 grants. In 2019, FedEx doubled the amount of the grants and and plans to award more than $220,000. The eligibility requirements are minimal. You must have a FedEx account and be in good standing with that account. There is a simple enrollment process that focuses on your venture and story. The micro-grant program like the one offered at Texas Woman’s University reflects a movement toward smaller amounts granted to small or micro-businesses. The Texas Woman’s University grant program helps both existing and aspiring women entrepreneurs by awarding 10 women-owned businesses up to $5,000. The only requirements are to have an existing or newly formed business with fewer than five employees, current documented sales and tax information, a for-profit structure and no active litigation against the company. For any small business owner, the National Association for the Self-Employed is a good organization to join for benefits that include discounts and other money-saving perks. The organization also offers what it calls growth grants. Like other micro-grant programs, NASE’s growth grants offer a smaller amount of money ($4,000). Still, there’s a lot that a smart business owner can do with that amount to develop and expand operations, from marketing and website development to freelance assistance and equipment. The organization offers these grants quarterly. You’ll need to be a NASE member in good standing. When applying, you’ll be required to share why you need the grant, provide a detailed explanation on how you will use the funds, and explain how the grant will impact your business growth and success. Started in 1998 by WomensNet, the Amber Grant program recognizes a young woman named Amber who died at the age of 19, so couldn't realize her entrepreneurial dreams. The grants are small at $1,000, but monthly winners are then eligible for the annual $10,000 grant. There’s a simple form to fill out. You’ll be asked to explain why the grant would help your business and what you want to achieve as a business owner. A small application fee is also required for processing the entry. Created to help women succeed in business, the Girlboss Foundation awards a grant of $15,000 on a biannual basis to female entrepreneurs in the fields of art, music, fashion, and design. You must be a U.S. resident who identifies as female and 18 years or older. The Foundation is looking for candidates who demonstrate creativity, innovation, business acumen and financial need. Describe these factors as they apply to you and your business in your application, along with your timing, work plan, and budget proposal for completing your grant project within a 12-month period. Since 2006, this upscale brand has been focused on helping female entrepreneurs around the world. Although this year’s enrollment period is already closed, the window of opportunity for this grant will open up again later in 2019. Up to seven women each year receive $100,000 as well as guidance, education, and training to develop and grow their businesses. Requirements include being in the startup stages of business, older than 18, and an ability to show revenue generation. If you can't get a grant and really must try to get a loan, there are other places to look. These funding sources include Small Business Association loans, micro-loans, and startup loans. Since your personal credit history may impact your success in getting one of these loans, be sure to build your credit. Alternative lending options include cash advances, crowdfunding platforms or online lenders. With these alternatives, none are specifically just for female entrepreneurs. However, some investors and accelerator groups are specifically interested in helping women. If you do opt for a loan over a grant, there are certain things to research before agreeing to borrow any money. Get everything in writing, including the repayment terms. These terms involve the amount of time you have to repay the loan as well as whether there is a prepayment penalty. Other things to compare when shopping for a loan are the cost of origination fees to fund the loan, interest rate, and the required type and amount of collateral. 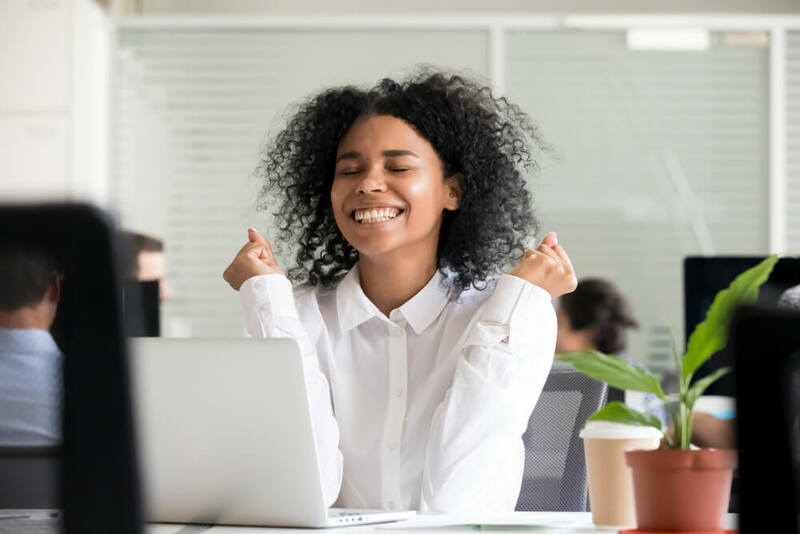 As a female entrepreneur, you can take advantage of the opportunity these grants or other business loan options to lift your business to the next level, no matter your credit score. Even if a grant or loan provides a smaller amount of money then you’d like, that can actually boost your future attempts to secure funding. Also, this could help demonstrate your ability to make smart money decisions as well as lead a company. That may increase chances that other investors will take a chance on you in the future. John Boitnott has a long journalism career in both broadcast and digital media. He's contributed to publishers as diverse as USA Today, Fortune, Business Insider and Inc.